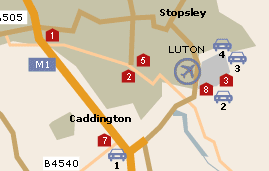 Airport Parking offers a wide range of options for parking at Luton Airport. With both on and off-airport options, there will be something on offer to suit every need and budget. For a quote please click here. So as well as being a more convenient option, it may also be easier on your finances. 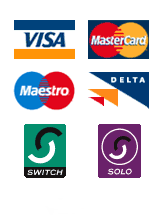 To view the hotels on offer at Luton Airport and get a quote please click here. A designated accessible door for customers not wishing to use the revolving doors. Accessible toilets in all toilet bays. Wheelchairs, free of charge, from 2 collection points. Induction loops are fitted into the customer services and special assistance desks. Lowered payphones fitted with inductive couplers and touch text facilities. Porters assistance is available, free of charge, via the Special Assistance telephones sited in and around the terminal building. Specialized equipment is available to assist passengers to board and disembark the aircraft. Designated Disabled Accessible Bays are available in all car parks. Baby changing facilities are available in all toilet facilities. Special babycare rooms, equipped with changing tables, nappy dispensers and other essential equipment are available for passengers travelling with young babies. Children's play area in the departures area near to the customer service desk and the departure gates. Special menus and offers for children are available in all airport restaurants. Baby food is available free of charge.